eBay told 9to5Mac that the online storefront is "a low profile Apple test site that could open to much bigger things." Right now there are only a few items for sale and they're all priced the same as Apple's refurbished store on Apple.com. The refurbished products also come with the same one-year warranty, new battery, cables and all the other goodness that Apple refurbs usually have. 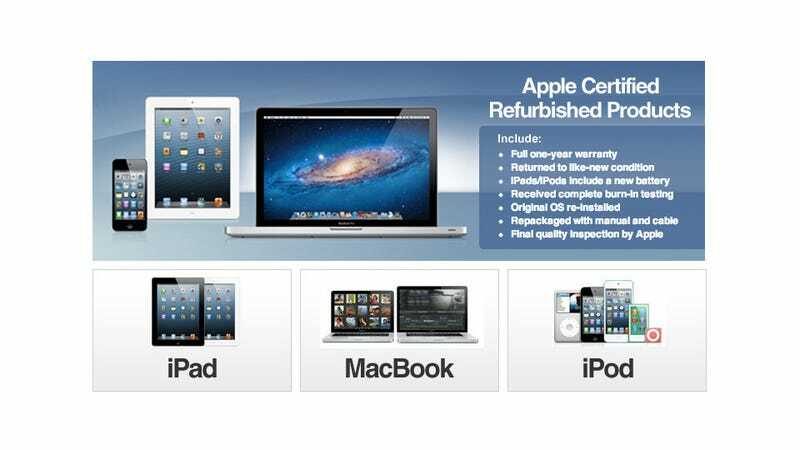 Update: On product pages, there's a note saying: "This seller has been authorized by Apple Inc. to sell Apple Certified Refurbished products on eBay." That would point towards an authorized Apple reseller running the Refurbished Outlet and not Apple. However 9to5Mac is still saying eBay told them it's an Apple run store within eBay.